You’re developing a huge application, but want your code to be modular so that you can use it again else where. But what happens if one module is dependent on another, and you have forgotten to include it? 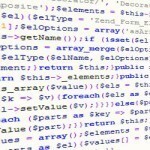 This bit of code will check if the dependent module is available to the application. Place this code in the bootstrap file of in the ecart module. You do not need to call this function, your Zend Framework application will call every _init* function in your bootstrap file.